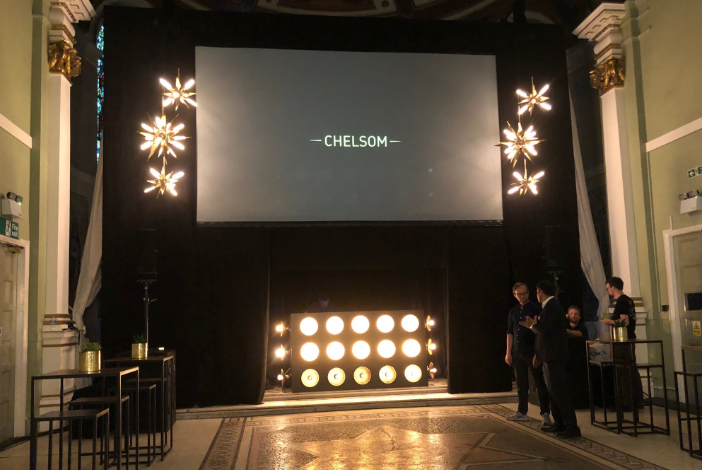 Tapered perforated metal shades, brushed brass rings and even glass icicles were some of the focal trends that were unveiled at Chelsom Lighting’s launch of Edition 26. Two years since the launch of Edition 25, leading designers, procurement experts and friends of the firm gathered at One Marylebone last night in central London to celebrate the awaited unveiling of the collection. 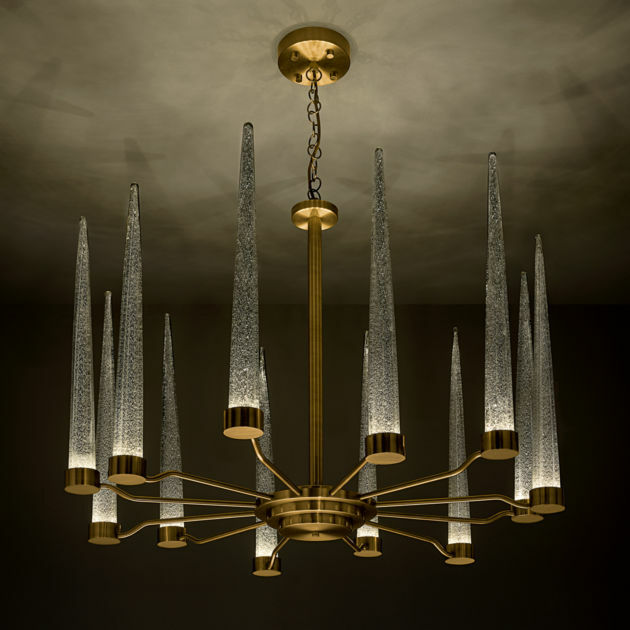 One of the many statement pieces in the newly launched collection is the striking Icicle, which features dimmable integral LED light sources in the bad of the glass icicles that throw light upwards giving a warm ambient glow whilst reflecting off the tiny silver leaf flecks within the handmade glass. 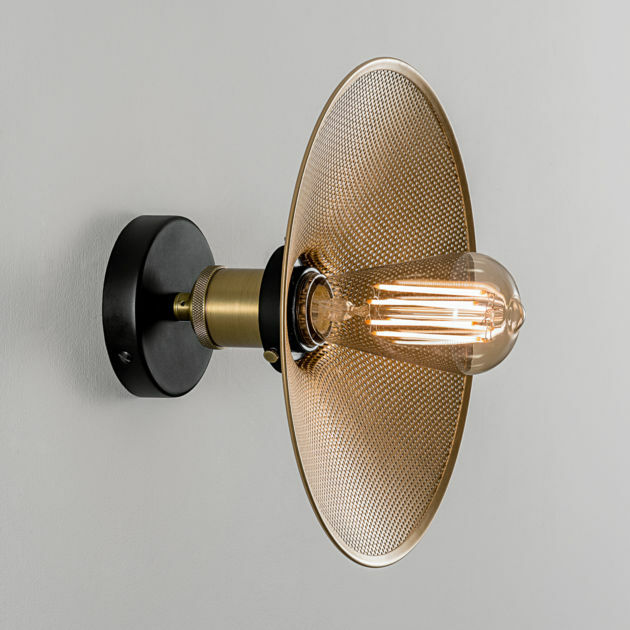 Elsewhere in the collection, the Halo features decorative LED filament lamps that reflect a warm glow off the interior of brushed brass rings. 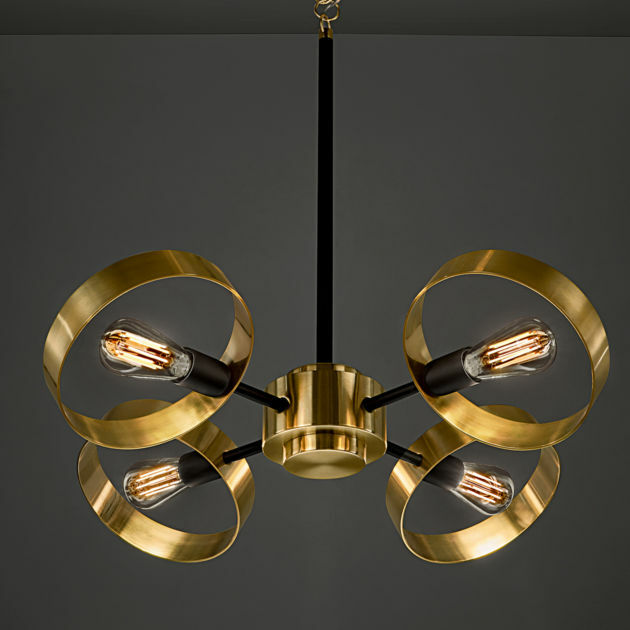 The rings on both the four and eight light chandeliers can rotate at the end of the arms to give an asymmetrical appearance. The Radar features shallow perforated metal collie shades that are supported by detailed knurled lamp holder. The Pear, which was displayed in a large installation in the main hall, features tiny points of LED lights that project a sparkling glow into unusually sculptured crackle glass pears. Other products that were displayed around the venue included the Criterion, the Oxford and the Chelsea. To request a catalogue featuring the complete collection, click here. 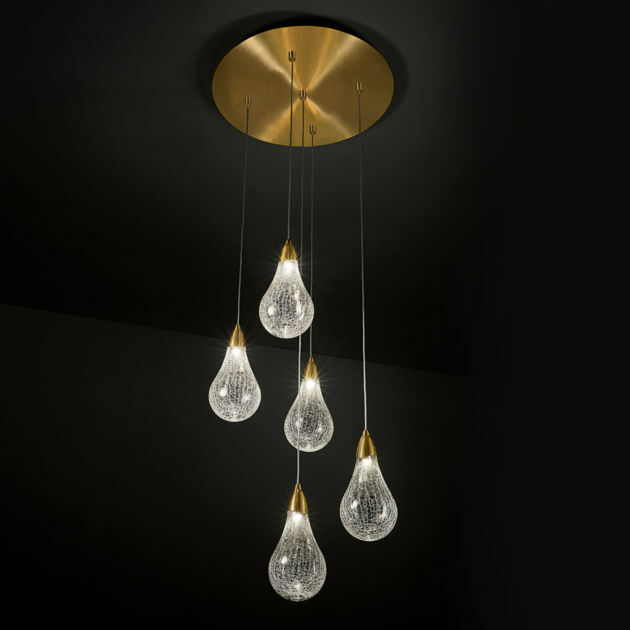 Chelsom Lighting are one of our recommended suppliers. 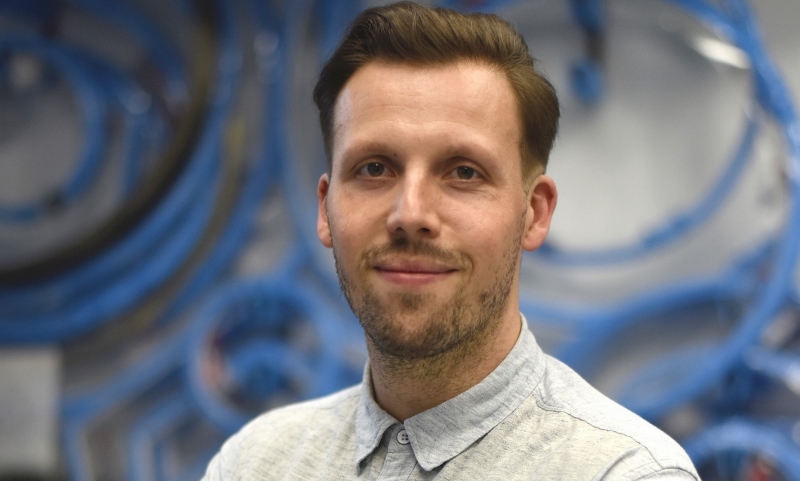 To keep up to date with their news, click here. If you are interested in becoming one of our recommended suppliers, click here. 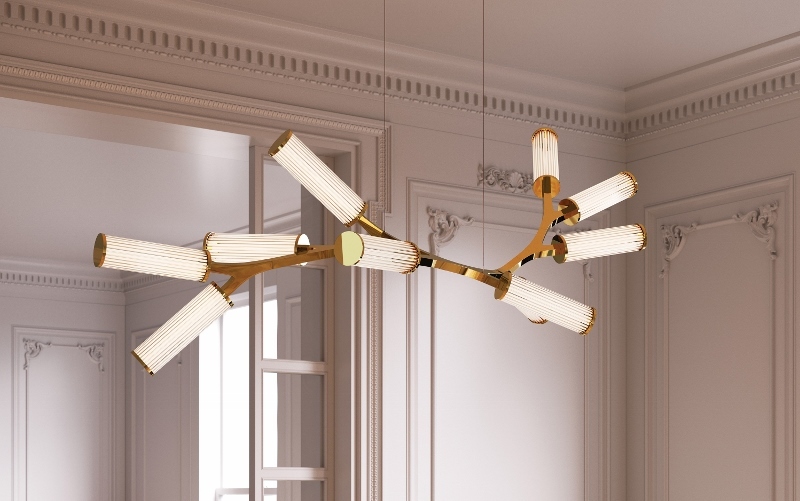 SORAA has always been a fixture in lighting design projects that incorporate strong artistic and design elements. 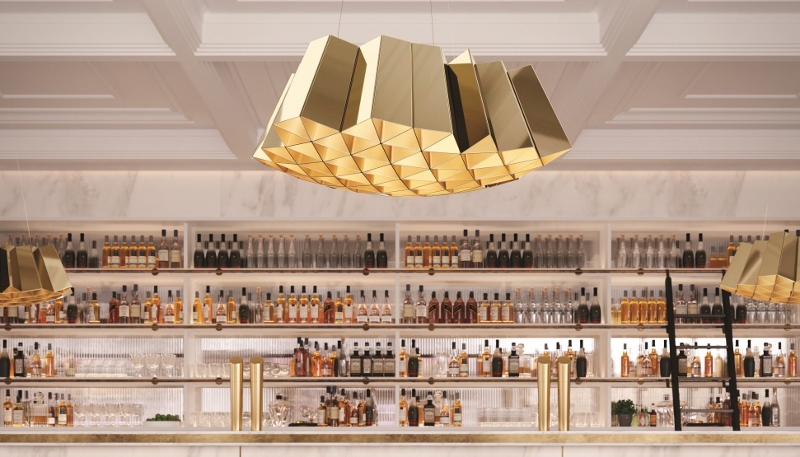 So when world-renowned lighting design firm Worktecht reached out with a new hotel project that needed to blend visual art and design, it was a no-brainer. 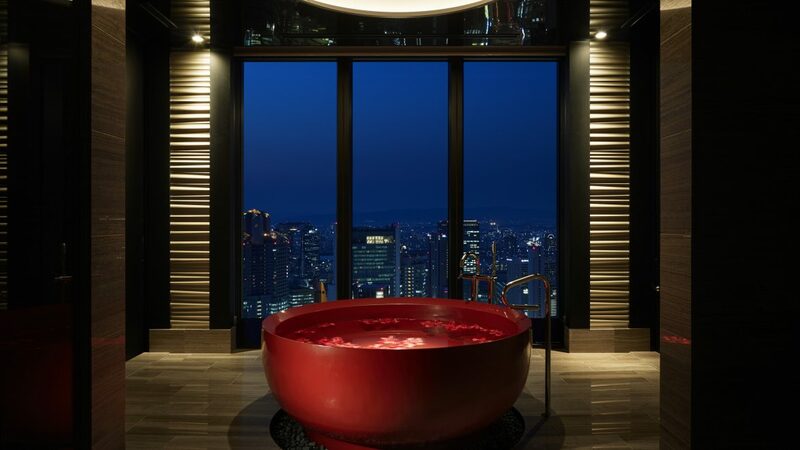 The Conrad Osaka is a five-star hotel located in the middle of the Umeda and Namba districts in downtown Osaka that opened its doors in June 2017. The 40-story Conrad boasts impressive views of the downtown cityscape, but the real draw of the hotel lies inside where light, stunning visual art, and architectural elements perfectly collide. Here, SORAA speaks with lighting designer and founder of Worktecht, Atsushi Kaneda, to find out what inspired him to create a space that so seamlessly merges art and design through light. 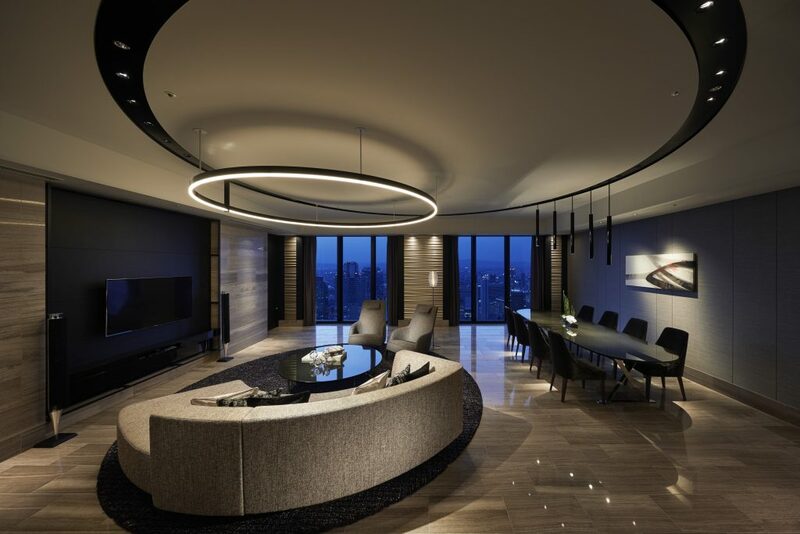 Why did you choose to use SORAA over other lighting companies in the Conrad Hotel Osaka? Atsushi Kaneda: The interior design of the Conrad Osaka combines various artworks allowing guests to feel like they’re staying in a contemporary art museum. To make sure we highlight the artworks perfectly, SORAA lamps were just the best choice for our design. What was the design inspiration for the Conrad Hotel project? AK: The interior design concept for the hotel was “The Address to the Sky.” The natural elements of “Water”, “Sky”, “Fire” and “Star” became the theme of each area. We were really inspired by these elements and started to think about how the lighting could bring the corresponding special atmosphere and perception to immerse people in. 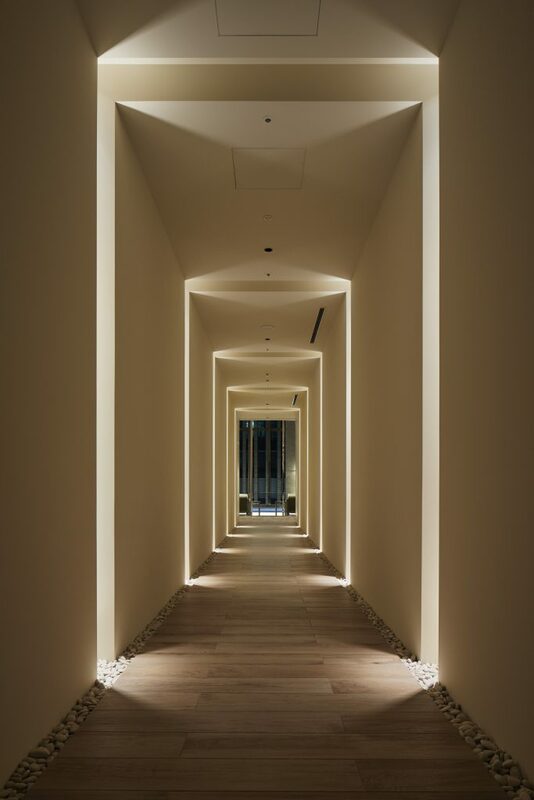 How was light used to highlight architectural elements and art inside the hotel? AK: In order to create the sky-like lighting environment, we incorporated fixtures carefully to illuminate objects and eliminate some shadows, aiming to generate a sense of floating. For example, the uplights around the artwork at the entrance render the crystal beads from the bottom to the top and exhibit them in a way that makes them seem weightless. 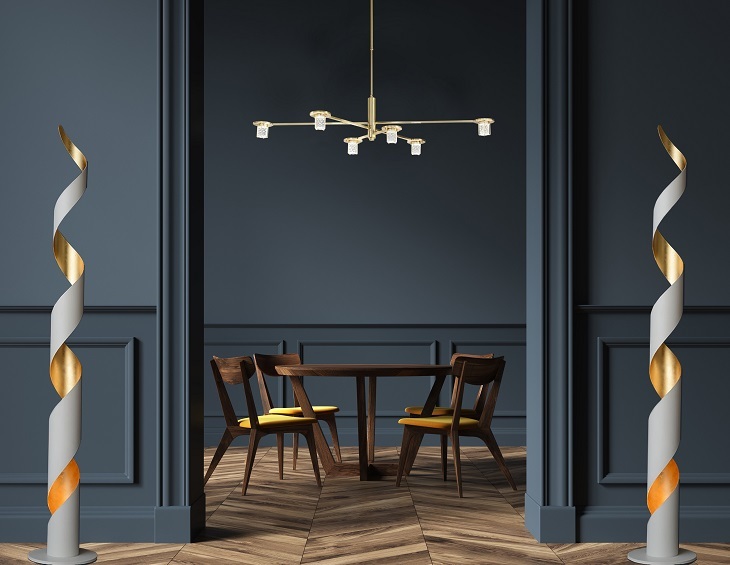 Do you think that light can alter the “mood” of a space, and how? AK: Light can absolutely alter how people perceive the environment, both consciously and unconsciously, including their emotion, mental state, and thinking about the atmosphere. If a delicate art piece is illuminated in the proper way, the focal light reveals its material and texture so that viewers will feel surprised and moved by the authenticity of the aesthetic. 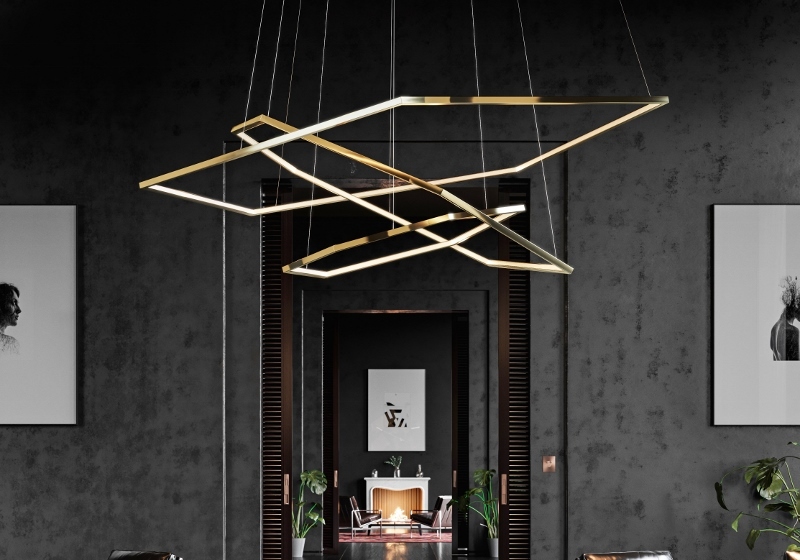 For the ambient lighting, when the light smoothly and subtly changes, following the time shift and seasons passing, our natural instinct is to respond to the light and deeply feel it. What was your favourite lighting design element in the Conrad Hotel and why? AK: It is the illuminated artwork of “God of Wind and Thunder” at the entrance. The sense of floating on the artwork was created by the hidden uplights around. It was a challenge at the beginning, but the final effect is really appealing and successful.